Frame by Frame from Metanet Software on Vimeo. So we’re off to Las Vegas for the PlayStation Experience, December 6-7! We can’t wait to show the latest build of N++ and chat with players — this may be the last time we show it publicly before it is released?! Although release is still a few months off, we’re so close to being finished, and that is a great feeling. We’d just like to take a moment and say that the feedback we’ve been getting thus far is great, and we really appreciate the encouragement and appreciation from fans — we’re so happy you’re excited. We’re sorry it’s taking so long, but thank you for your patience, and for your enthusiasm — it’s much needed at this stage in development. So thank you! You don’t have long to wait now. 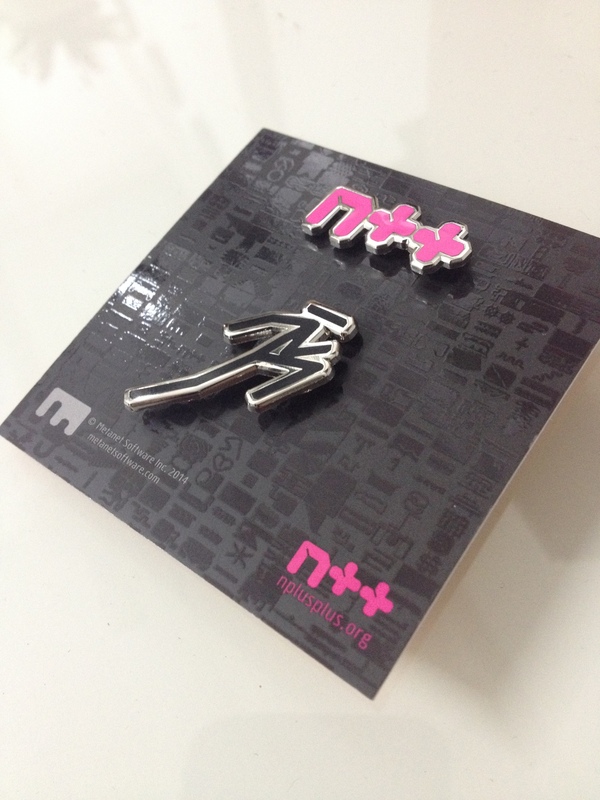 We’ve got some special merch for the PlayStation Experience, so if you’re in Las Vegas this weekend, come and say hi (Booth #I31) and check it out! If there are any left after this weekend, we’ll bring them back to Toronto and add them to our Etsy shop, so keep an eye there if you are interested. 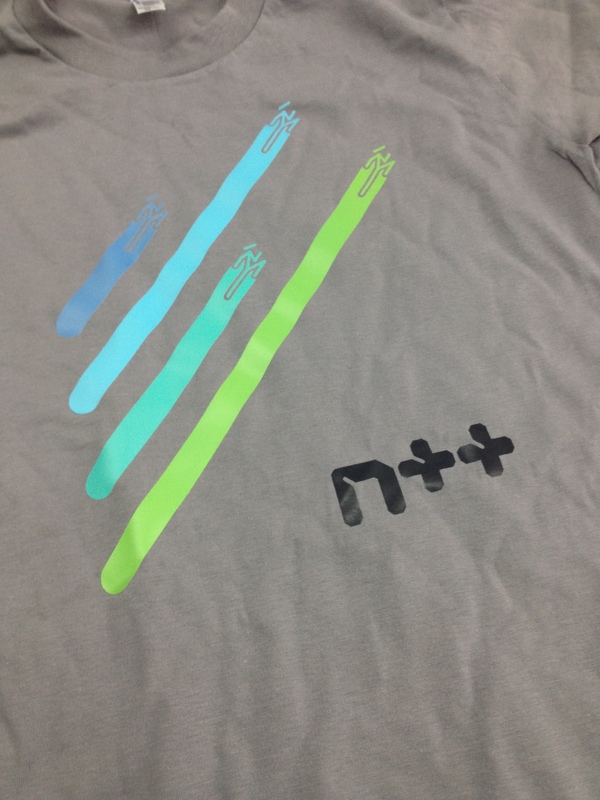 We know a lot of you would like N++ tshirts, and we are thinking about ways to make that happen. Shipping small things is a lot easier for us — shipping tshirts gets pricey very fast here in Canada (think $20+ just for the shipping) so we don’t know if we’d ever sell many that way — but if we can find someone to partner with who can handle shipping shirts (at a lower cost to you), we may do that. We’ll keep you posted! P.S Yay!!! Knew it !!! 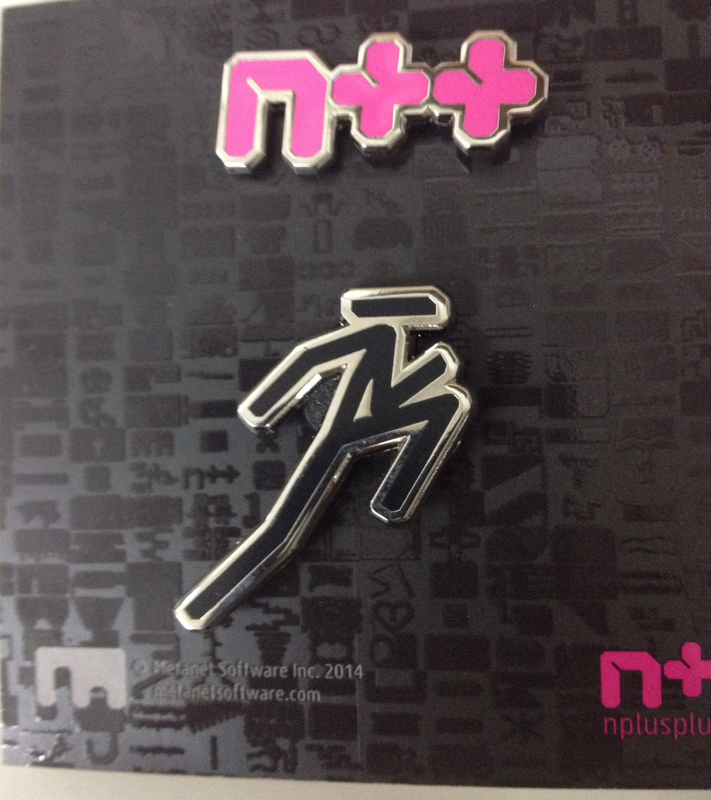 N++ Goes on PC!!! With Colors!! What the font using in npluspous.org? This is a totally misplaced comment, but I just wanted to let you all know that I’ve lives this game ever since I stumbled across it many years ago on the PC, and am throughly enjoying N++ on my PS4. Still loving the level editor, and maneuvering about the vexing passages. Alas, I also wanted to alert someone, ANYONE to a game-breaking bug. The Evil ninja, ever since your latest patch, appears 5 second behind you instantly upon touching the summoning space, instead of 5 seconds after, thus leaving you with an invisible antagonist. Given how crucial timing is in your wonderful product, I wanted to let you all know about it. I look forward to resuming getting every last piece of gold once this issue has been fixed.